Focusing on the artists Adrian Vanson and Adam de Colone, this small exhibition presents the findings of a collaborative research project with the National Galleries of Scotland (NGS) Conservation and Curatorial departments and paintings conservator Dr. Caroline Rae who was the Caroline Villers Research Fellow for the academic year 2016-17. NGS has been jointly hosting (with the Courtauld Institute of Art) Caroline, whose research is primarily focused on the technical examination of five paintings attributed to Adrian Vanson and eight paintings attributed to Adam de Colone in the NGS collection. She has also examined a further portrait attributed to Vanson, Sir John Maitland, 1st Lord Maitland of Thirlestane, in the National Trust collection at Ham House. This painting will be on display as part of the exhibition. Adrian Vanson (died around 1604-10) and Adam de Colone (around 1595–1628) were Netherlandish artists who lived and worked in Scotland at the end of the sixteenth and beginning of the seventeenth centuries. During this period many Protestant Netherlanders fled their home to escape religious persecution by the Catholic Hapsburgs. Taking advantage of the flourishing trade links between Britain and the Low Countries many settled with their families in this country and became tradesmen and artists. Vanson and de Colone, whose families were related by marriage, became successful artists and painted wealthy members of Scottish society including the King and members of his court. Both artists had a demonstrable impact on the development of early Scottish portraiture, in particular influencing the first known native Scottish portrait painter George Jamesone (ca. 1589-90 – 1644). 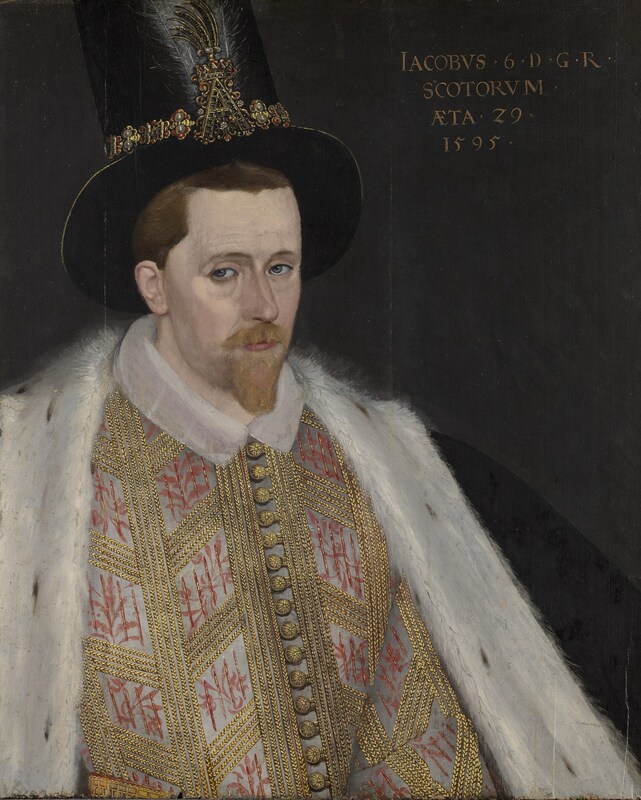 Caroline Rae’s examination of the portrait Sir John Maitland, 1st Lord Maitland of Thirlestane, attributed to Adrian Vanson, 1589, (NT 1139943) concluded that there were demonstrable technical links between it and the NGS portrait of James VI (PG 156), thus strengthening its current attribution to Vanson.